When I try to deploy the WCF application which I created in VS2010 to the development machine that is using Win7 64bit and IIS 7.5, I have received the following error message. As I am a absolute beginner in creating a WCF. I have no idea what have a done wrong. I used Microsoft Web Platform to set up the IIS Web Server and then I published into a file system, so that I can copy and paste it to the web-server like what I did when I publish a web-application. Finally I have realise it is something to do with the extension configuration / MIME map. I guess something is missing on the web server. 6) click “OK” and try to refresh the webpage. If you are using older version of Windows Server E.g. 2003/ WinXP, you can try to use command prompt. 4) Then you can enter the following command to setup WCF on your computer. 5)Then you should see a similar screen as above. If everything setup properly on you server, you should be able to view the WCF service you have deployed to the IIS. 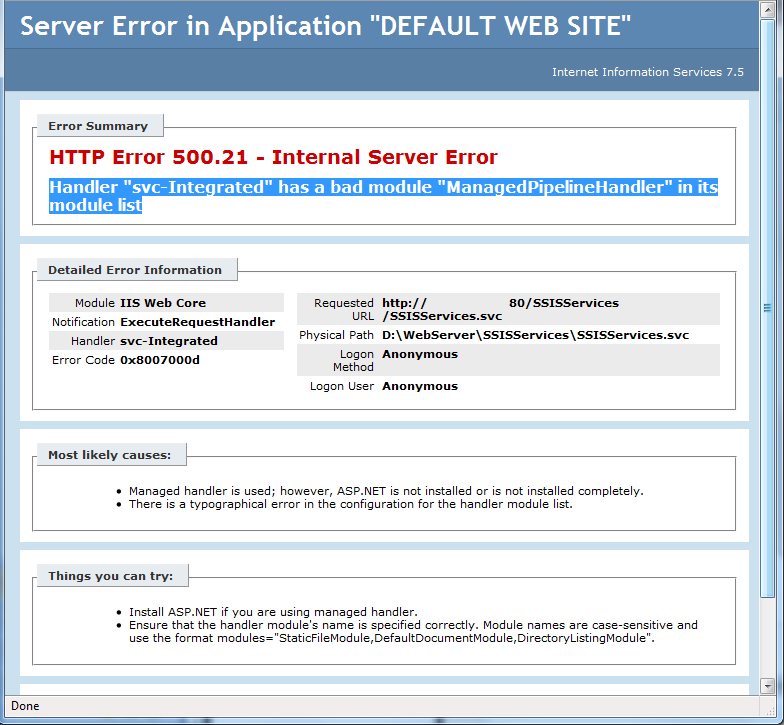 However…Once I solved the HTTP Error 404.3 error I have received another error like below. I will explain how I solve it in my next post. This entry was posted in WCF on 2010/06/30 by ShareChiWai. 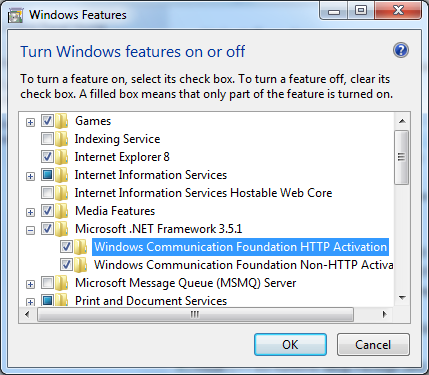 This entry was posted in .Net Tips And Tricks, WCF on 2009/08/20 by ShareChiWai.